The market’s hot in your area and you want to sell your home, but your everyday life is busy. How do you find the time to prepare your home while still living there or plan a move and keep all the other plates spinning and balls juggling? If you’ve lived in your current home for very long you may not be able to estimate how long it will take to get organized and ready. When fitting it in between everything else, you must prioritize so that you can focus on one thing at a time. In general, consider these five or six categories and the focus on just one: maintenance you can do, upgrades or repairs that require a professional, discards or trash, items to sell or give away, furniture and belongings to store, necessities to keep on hand. You’ve been putting it off, but you know the gutters need cleaning or a couple cracked cover plates need replacing. These are items you can do yourself, you just need to make time to do them. Once you’ve made your list, take stock of supplies, tools, and parts you need. Plan a single trip to the hardware store on your way home from work to minimize time lost. Pick the easiest one, the one that you can do in a single evening. Do it right when you get home before other priorities interrupt you. Then on to the next one. Some repairs—and many upgrades—are best when done by a professional. When your house needs to shine, a less than stellar repair job, uneven paint, or a visible patch could detract from your sale price. If you don’t know a qualified contractor for your needs, ask a family member, friend, or neighbor, or utilize one of the contractor&apos;s lists available online, or check with your local hardware store contractor’s desk for recommendations. Let’s face facts, most of us keep far too much stuff. The first to go should be items that are no longer useful. Get all the trash out of your garage, attic, closets, and drawers. If it’s broken and not easily repairable, let it go. Contact your trash service to find out when the next bulk pickup day is or arrange for extra service. Having a date creates a deadline and may motivate you to do it quickly. Get the whole family on board to help. Place items on Craig’s List, Offer Up, or Facebook Marketplace if you can. But remember, your time is a valuable commodity so taking the time to sell objects online or at a yard sale could have diminishing returns. If your neighborhood has a community sale date, box items up and set them aside for that one day. Otherwise, give your items to charity. Be sure to list all the items you give and get an acknowledgment receipt from the charity. The IRS has tables of fair-market value for well-cared-for and useful items, so pass the list along to your tax preparer. If you have extra furniture, collectibles, or seasonal items, it pays to put them in storage while your home is on the market. Cluttered and overfilled homes tend not to show as well as those with more streamlined furnishings. What you can’t get rid of or store—those pesky necessities of life that keep your home operating smoothly—organize! That way, when your real estate professional calls, your home is ready to show at a moment’s notice. A passionate polo player, aviatrix and fourth generation member of one of the oldest winery families in the Napa Valley, Roberta has lived in the Bay Area her entire life. She attended San Jose State University and graduated with a degree in Aeronautics and a Business minor before entering into the professional world. Dedicated to her community as well as her vocation, Roberta is the past President and member of the local Soroptimist International organization. She is also an active member of a number of local Chambers of Commerce. Because of her longtime residency and her civic involvement, Roberta has an acute awareness of the needs and wants of families in the area. She knows the schools and neighborhoods, as well as the services and benefits available. Roberta is a valuable information resource for those new to the area as well as those who are simply changing neighborhoods or looking for investment properties. Roberta has over eighteen years of experience in buying and selling real estate in the residential, investment and commercial markets. 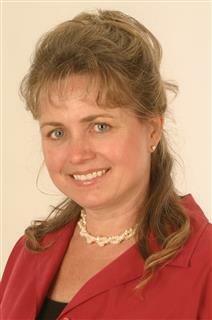 She started and operated two specialty businesses on the Peninsula prior to joining Up Valley Real Estate in 2003. Not content to just “get the job done”, she wants to exceed your expectations. Roberta believes in service with commitment. Utilizing the kind of knowledge that is obtained only through extensive life experience and an in-depth understanding of the area and local market, she works with you to provide the maximum results. During her accomplished career, Roberta has refined important skills in communication, negotiation, attention to detail and sound business practices, all of which are vital to the success of her real estate clients today.